Hello World, I have decided that after living in almost a decade of silence, that it is time for me to find a voice and be more consistent and productive in the basics as best as I can. I have been struggling with being heavy physically & in depression emotionally for quite a long time. Instead of focusing on the past, I want to explore techniques, strategies, how best to move forward in a constructive way. I want this to be a safe place for people to share their own approach to living a more fulfilled, happy and grateful life. Whether improvement is made through diet to lose weight, hypnosis, medication, exercise or having a pet rock, please share your success. Everyone deals with their challenges differently, but my hope here is that we can all check in and walk away motivated to have a better day. My first goal in what I am calling hashimashi, is to motivate and improve myself. I also hope I can learn new ideas from you. I want to be able to smile. Now at this point you must be wondering what does hashimashi have to do with anything? Here is the reason that I have started on this path, last night, I was feeling really uncomfortable from a bit of a binge I am ashamed to say. I felt like I needed more muffins, always craving sweets and that is despite the fact that my doctor has said that I am borderline diabetic. So, as a result, I have been wondering what is it that I can do to get rid of these awful cravings, almost to the point that I feel like I cannot breathe unless I get some cookies, pizza, pasta, bread or rice. And I have seen here and there ideas that all of those processed carbs actually cause you to want more! I am no scientist or expert on nutrition, just a guy who has been struggling with weight loss and being overweight, husky, chunky for most of my life. I will admit to being a bit of an extreme personality, it is easier for me to live in a very clear cut boundary than something more moderate, that is just how it is for me with no offense meant to anyone else. In any case, I decided that what I will do, will be to cut out all processed carbs, which is stuff like bread, pasta, pizza, bagels, cookies, reesee's peanut butter cups (oh no, I could not imagine living without that), chips, pretzels, pretty much , my entire food selection! My usual day would start with an omelete on bread, an egg sandwich on whole wheat or on a bagel, so I had to come up with something different and asked my friends in Cafe Tudor to make me the egg omelete , but without bread, and instead of the bread to give me hummus and avocado on the side. I will have to get the actual details, but when they told me I was mixing up stuff and creating a ‘hosh', essentially causing trouble, I called it was hashimashi, so that is where the name comes from, as simple as that. The most basic idea of hashimashi is to eat real food, try to acquire real strength, by that I mean through pushups, other bodyweight exercises, weights and to do this gradually. I am in no shape as of now to do anything but gradually. If I can do one pushup, I will be grateful. I will write more about that in another post, but I believe I saw this idea first mentioned by Mehdi of stronglifts5x5 and attributed to Pavlov the Russian scientist. The idea is to do things gradually and get really strong over time. In addition to the weights, I am going to try and get in more swimming. Where did that come from? My inner voice, my instinct for survival made me think that a reasonable way to feel better, to get out of depression and lose weight might be to swim. Hmm, I thought about it, I have not really swam since high school where probably like many of you out there I used to swim on the team. I remembered loving swimming, how much I wanted to make it to the olympics, obviously I did not try hard enough since I could not even handle the college level workouts where the coach said to just be ready to hurl up. But I gave it a whirl a few weeks ago at the Y and it was really awesome. You know , I am very out of shape, hardly do exercise, the whole bit, I do not smoke, but I am overweight, about 230lbs and if I am stretched out on a board maybe 6'2″, but being in the water was great. It is cool, I float..and I started to swim. I did it a few times sporadically over the last few weeks and really do feel better, but I am a bit of a procrastinator when it comes to exercise as many of are, that I need another path to push me, another way. So, this is how I will be consistent and productive. Every day I want to do 2 things. The first is to swim and if I cannot swim, like when winter arrives, at least to walk. To do my best to get healthy and I already know that swimming does give me a lift, I have no clue why , but it does and it is something that I can do. The second is to write, at least one post a day, maybe more, who knows, I have never done this before, but I know I have to be consistent. So said a well known blogger who I never heard of until yesterday, so I have to give him the credit, he said that it is important to be consistent, thats it. His site is https://johnchow.com. So, I have made good on the task of writing today my first post. Now I have to make good on the swim. So, I will make it to the pool and let you know how I did…how long I stayed and how many laps and I will also be tracking weight and stuff like that. 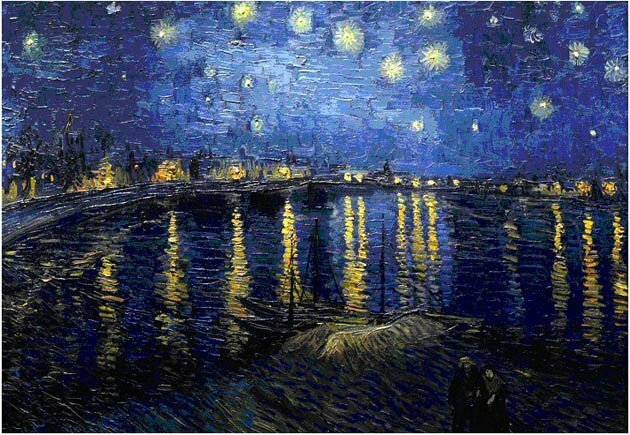 I chose starry night by Van Gogh for my first image because it is symbolic of expression, actually, it is expression, the expression, the interpretation of a starry night which conveys the emotions of the painter, to the viewer. It has other important meaning for me because I appreciated the art of Van Gogh to a greater extent just from looking at art in general, especially at the Met, where I have learned so much about dedication to a project. My guess is that we all have masterpieces within us, but just some of us actually bring them into physical expression and complete them, publish them for the world to see. I wrote essays about this picture to keep myself occupied when I was in deep depression, and while doing that I began to have a different view of self expression and revealing your thoughts through the medium where I can communicate best, which I believe at this point is writing. I think what makes art so powerful are the transfer of the emotions from the artist to the heart of the viewer or listener. Actually, it is that realization of the passion that is in the painting, or in the music, or in the architecture. The viewer knows how hard and how long the artist might have spent to create the work, and there are some songs, some images, some structures that affect many of us emotionally, they inspire us with the fire that was in the heart of the artist while creating her/his work. They can elicit from each one of us, new perspectives and new determination to grow in every way possible. The meaning of this picture to me was, yes, it is quite dark outside, it is silent, it is quiet, there are swirls in the sky, there is a sense of confusion because it is difficult to make out forms and shapes in the night. There seems to be no way out of this darkness and confusion. But the stars are still in the sky, they are sparks of light and there is an orb, which appears like a sun in the top right corner, seeming to beckon and say, do not despair, there is dawn around the corner, there is still light, even when you feel that there is no hope, look to the light, do not give up, the sun will rise soon and you will have another chance of living a better life. I hope through this medium I will be able to express myself, find my voice to navigate all of the challenges which lie ahead and I am pretty sure I am not the only one facing new choices, new directions and trying to attain the awareness necessary to do the best that we can at each and every moment. I sincerely want to come out of this cold decade of night, of lonely silence, of despair and depression, break out into a new day, participate in the world, help others as much as possible as my friend ‘coach craig' has suggested. It is because I volunteered at Craig's suggestion to help others in the present, instead of replaying and living in the desolate past, that I am on the path I am on right now. Volunteering cascaded into circumstances where I met people who have been a significant influence in getting me on a better path. I also gained confidence that I still had something to offer the world. First, it was a dirt road, then a bike path, and now I am driving on a paved road, I am moving, changing, growing, and I am grateful to them and any other support I have had from people in my life. Of course, helping myself heal, recover, repair and rebuild is the first step. I want to find a better way to approach each day so I can enjoy and want what I have, no matter what it is, to the best of my ability. Thanks for reading and hope to hear from you.